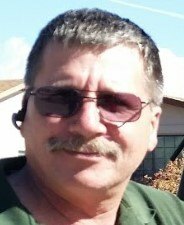 Garage Door Opener Repair - Tucson John Fixes Them All! 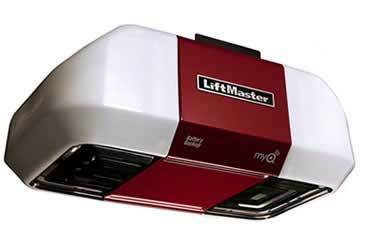 Is your garage door opener giving you trouble? Is it making more noise than it used to? Maybe it sounds like it's about to quit working altogether. Maybe it has quit working altogether! 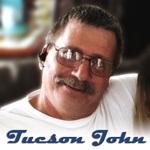 No matter what the specific issue is, When you need a garage door opener repair, "Tucson John" is here to help you out! I've worked in the garage door repair industry for over 25 years, and I've pretty much seen it all. I work with all brands of automatic garage door openers, from belt drive, chain drive and even screw drive models. 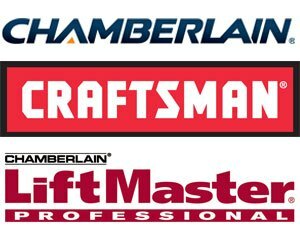 What I see most around Tucson is people who need help with Chamberlain, Craftsman and LiftMaster brand openers, but I can help you with whatever you have. Genie, Wayne Dalton, Linear, Clopay, Stanley... you name it, I've fixed it! 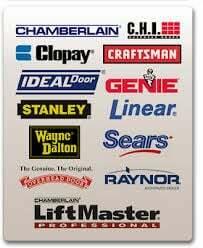 When it comes to a garage door opener repair or replacement, my promise to my customers is that I'll give it to you straight. I tell you your options and let you make your own informed decision. When your automatic door opener stops working, most people assume that they have to buy a whole new one. And while that is sometimes true, it's not always the case. Sometimes a simple repair can get you back to being fully operational while keeping money in your pocket. My promise to my customers is that I'll give it to you straight, tell you your options and let you make your own informed decision. I won't try to sell you a new opener when you don't need one. My business is just me... I can't risk damaging my company reputation by trying to make a quick buck. Integrity and long term client satisfaction is what keeps my name in good standing and keeps me busy! MyQ Technology now with Wi-Fi, enables secure monitoring and control of your garage door opener with a smartphone, tablet or computer.Alerts can be received as email or pop-up (push) notifications on your mobile device, ensuring the status of the garage door.MyQ mobile app is a free download requiring no annual activation fee. ​Sometimes your garage door opener isn't even the actual problem. It's not unusual for people to think that their opener isn't working, when in fact one of the torsion springs has broken and the opener simply isn't designed to open such a heavy door without a properly working spring. This is why it is a good idea to have a professional garage door repairman have a look so you truly know what is going on with your door and what needs to be done to get it working right again. DIY Garage Door Opener Troubleshooting - Don't Let This Be You! There are many people who like to do some trouble-shooting on their own before resorting to calling a professional. I understand that. And for those people, I've included some good, general information that you may find helpful in your efforts to sort out what is going on with your own garage door. Properly functioning garage doors have a built in safety function known as auto-reverse. The door will (should) sense if it encounters any kind of obstruction on it's path down, and when it does, it should automatically stop and revers direction back up. This isn't meant to simply protect your vehicle from a possible ding on the hood or trunk - it's much more important than that. This safety measure needs to work to prevent the accidental crushing of a child, pet or even an adult that may have fallen under the door's path. Therefore simply having the door stop isn't enough; it needs to reverse direction and go back up when it hits an obstruction. If you're going to test the auto-revers function, be careful! Some people end up breaking their openers by improperly testing them. We recommend using something like a roll of paper towels as the "obstruction" at the bottom, so that there is some cushion to work with. Also, as you're testing it can be a good idea to have a hand on the power cord, ready to pull it and disconnect the power in cast things to stop as they should. No reason to risk the motor continuing to exert force to the point of breaking something. In addition to the obstruction coming in contact with the door, you should also check the photoelectric eye beam that senses things in the path of the door, near the ground (usually within 12 inches of the ground), across the full opening. If something breaks this beam while the door is coming down, it should auto-reverse as described above. Less likely than having someone or something under the door while it's coming down, it's still possible for an accident or injury to happen when a door is opening. For example, if someone is on a ladder or accessing storage space that is above the garage door tracks, if the door is activated to open and it encounters someone or something in the way on the way up, it must also recognize this and stop itself. In this scenario though, we do not want an auto-reverse - simply a stop. As you can probably see clearly now, it is very important for everyone's safety that your garage door's opener function properly in recognizing when to stop. You also must be able to safely operate the door manually in the event of a failing opener or power outage. The door must be properly balanced using appropriate torsion springs (if applicable), otherwise damage or injury could definitely occur. If you're wondering if your garage door opener is working the way it should, another thing you should check is where (and how) it stops when the door closes. Does it go all the way to the garage floor and stop smoothly, or does it come down hard and even bounce of the floor? When it's in the open position, is it fully open, or does it somewhat reduce the height of the opening to the garage? If any of these issues are present, your door needs an adjustment on its closing limit. Let me help you with your garage door opener problems... Call me today!